On Vending Connection, Find NEWS, Buy and Sell Vending Machines, Vending Machine Companies, Vending Business Suppliers. Trade Shows and Routes for sale! What’s NEW in vending? 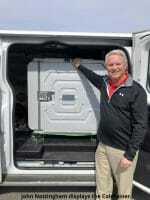 Vending Technology NEWS and Vending Product News! 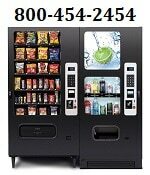 We are here to help you find anything you need concerning VENDING. Please use search box above to search for specific keywords to find what you need. Vending Connection’s website contains resources for vending machine businesses, amusement machines, micro markets, and office coffee services included. We update daily to keep fresh new content for our readers, to find answers to their question concerning vending industry. WHY BUY NEW VENDING MACHINES? We want to help you succeed in your vending business! Contact the “VC Team” or Call 800-956-8363 with any questions.